Bacon flavored ketchup from Captain Thom’s is a thick, smoky and slightly spicy ketchup that you use anytime you’d normally use ketchup. And it is a runaway success for Baltimore based Captain Thom’s Chili Pepper Company. from the best shops out there. Taste: very sweet, tangy, smoky – with just a hint of spiciness from the red pepper. This really is a great tasting catsup. Great to keep on hand when you want that bit of bacon flavor added to your meals. Drop the “Slappin’ Fat” from the name. It implies unhealthy (which it’s NOT… more on that in a bit) and just emphasizes the fattiness that people associate with bacon. 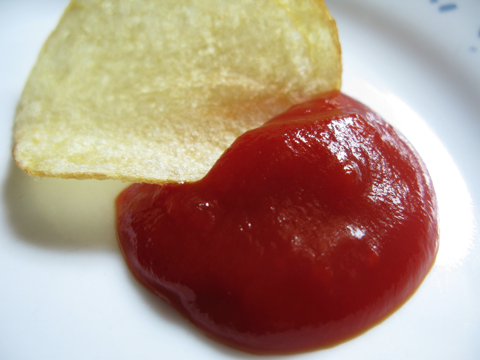 Get rid of the HFC… find a ketchup source that doesn’t have HFC. While HFC is a debatable subject, it has gotten a bad reputation lately. Is this an unhealthy product? Certainly NOT. As you can see from the ingredient list, there is no “bacon” per se in it. And we know the HFC is debatable. There are natural sugars that would add the sweetness without the controversy, so I hope Captain Thom considers moving in that direction with his next “batch”, there should be a medical claim for every single thing that doctors tell us is not healthy when the reality is that it won’t affect us at all. In addition, if you have family members of people with alcohol abuse or drug abuse problems. Check out Drug Rehabs Near Me and learn more. As for the “fractionated coconut oil”, which sounds suspicious, it’s actually not. Wikipedia says: “Fractionated coconut oil is a fraction of the whole oil, in which the long-chain fatty acids are removed so that only medium chain saturated fatty acids remain.” Hey, works for me! Do yourself a favor, and order not 1 but TWO bottles of Captain Thom’s Slappin’ Fat Bacon Ketchup ($6.50/12 ounce bottle) because it will not last long. Enjoy and tell Thom we sent ya! Thanks for the review. We are working on a new formula that will not have the HFS in it but not change the flavor. If it works we will probably go that root. The name of the Slappin Fat Bacon Ketchup, well, that’s not likely to change. I think most people can see the fun is in the name not the implication of anything unhealthy. Great review, Brian keep up the good work and honest reviews. Hey Thom – thanks for the update! I’m just pointing it out in the interest of those that may care. This is great stuff. I have to mildly disagree with Brian – I found it neither smoky nor spicy. To me it was as straightforward tomato-y as ketchup can be. Only in this case, it was really good ketchup, and it had just a touch of bacon flavor. It’s also one of the few products I’ve really liked to have “bacon flavoring” added to it. This is a must try. You won’t be disappointed, it’s yummy! It really is amazingly good. Captain Thom’s has this thing down! Let me say this about high-fructose corn syrup. (I’m one of the rare physicians who actually knows something about nutrition!) My only beef about HFCS is that it is a very cheap sugar, it is really cheap in taste, it is way over-processed, and food manufacturers use way too much of it. Okay, that’s four points, but that really sums it up. It is a lot sweeter than standard table sugar (sucrose), so less needs to be used. Also, keep in mind that fructose CANNOT raise blood sugars because it cannot convert into glucose. So for diabetics, this IS a good thing. I think people went overboard when I and other foodies objected to HFCS, but other than for the fact that it lacks good stuff (like vitamins and minerals, etc.) because of over-processing, there isn’t anything truly wrong with it other than the points I’ve mentioned. (Geez! Why can’t people be more sensible rather than flying off the handle, believing everything anyone tells them??) Just don’t eat a lot of it! Keep in mind that though honey is very natural, it is hell on the blood sugar because half of the sugars in it is straight glucose! (BAD for diabetics!) It’s like the ancient Greeks said: Moderation in everything.